Easter Seals began in the U.S. in 1907, when Ohio-businessman Edgar Allen lost his son in a streetcar accident. The lack of adequate medical services available to save his son prompted Allen to sell his business and begin a fund-raising campaign to build a hospital in his hometown of Elyria, Ohio. Through this new hospital, Allen was surprised to learn that children with disabilities were often hidden from public view. Inspired to make a difference, in 1919 Allen founded the National Society for Crippled Children, the first organization of its kind. In Canada, Easter Seals is a group of charitable organizations which provide opportunities for children, youth and adults with physical and/or mental disabilities. Founded in 1922 by a group of ten Rotary Clubs, it sought to emulate the success of the American Easter Seals program. In 1945, the first Canadian Easter Seals were introduced in Alberta. The first national Easter “Seal” was issued in 1949 with such an overwhelming response that organizations formally adopted the name “Easter Seals”. Today, independently governed organizations in each province provide programs and services to over 40,000 children and their families. In Nova Scotia, the organization was first incorporated in 1931 as the Nova Scotia Society for the Care of Crippled Children, becomming The Abilities Foundation in 1964, and in September, 2009 the name was formally changed to Easter Seals Nova Scotia. 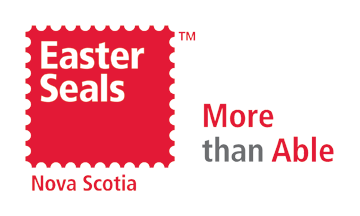 Since our inception in 1931, Easter Seals Nova Scotia has been committed to helping persons with physical disabilities improve their quality of life. To assist in our mandate, we develop partnerships in the community, to promote mobility, inclusion and independence for Nova Scotians with disabilities. The best-known services in Canada are the camp programs. There are camps in each province, across the country providing opportunities to over 4,600 children with physical and/or mental disabilities, including cerebral palsy, autism, muscular dystrophy, and spina bifida. These camps provide children with opportunities to do activities such as: sledge hockey, archery, arts and crafts, music and drama, campfires, accessible High Ropes, camping in a tent, and swimming. In Nova Scotia, camp sessions are provided to children, youth and adults at Camp Tidnish. Opened in 1937 by the Rotary Club of Amherst, we have been their operating partner of our fully-accessible and barrier-free camp since 1988.